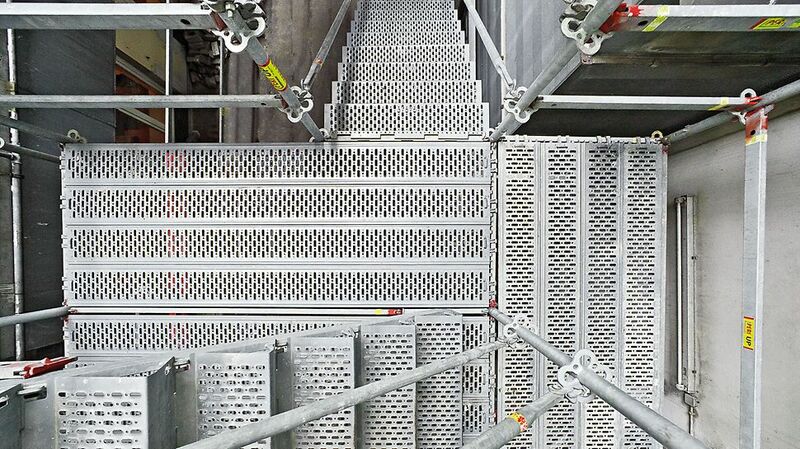 The PERI UP Steel staircases are assembled using stringers and individual stair treads. 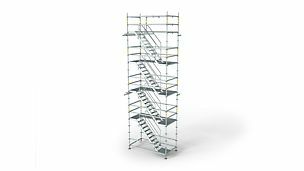 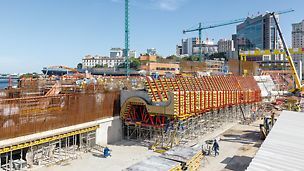 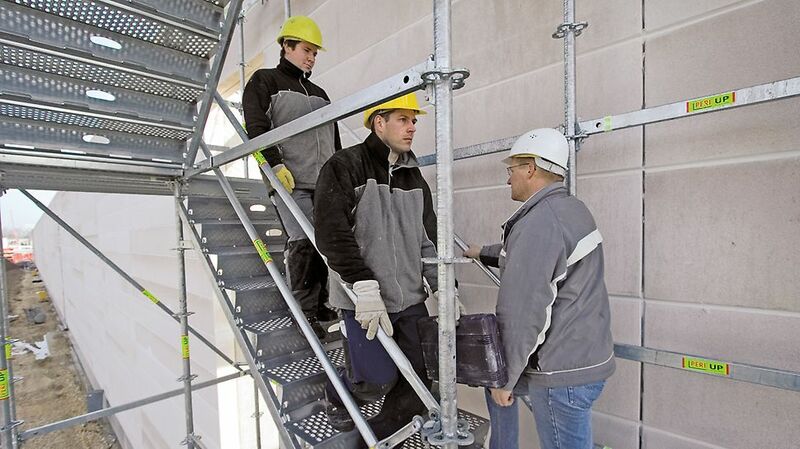 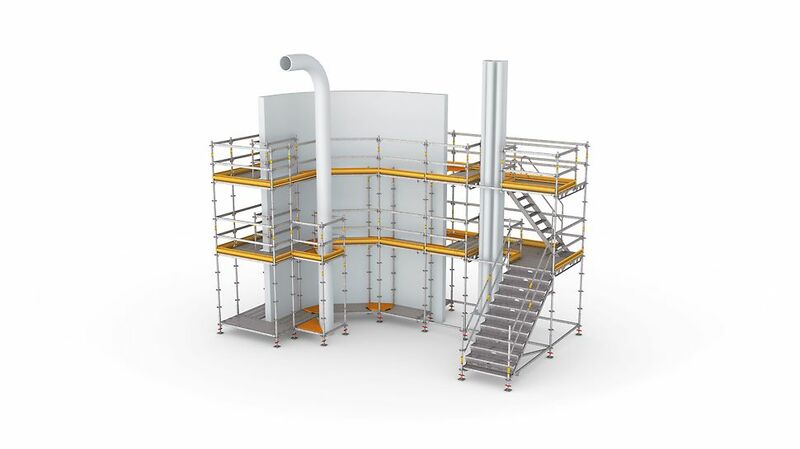 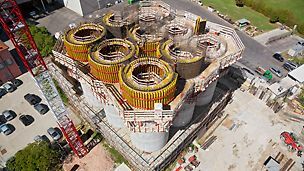 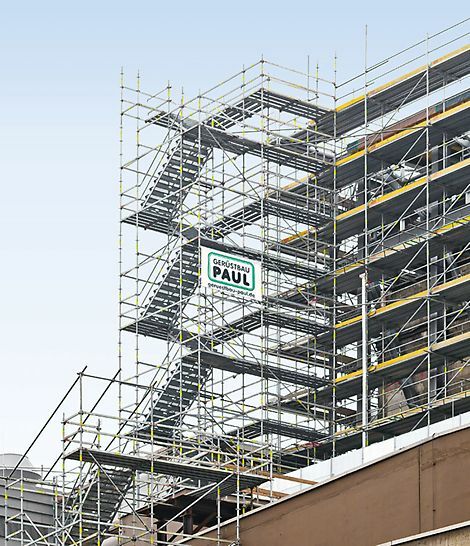 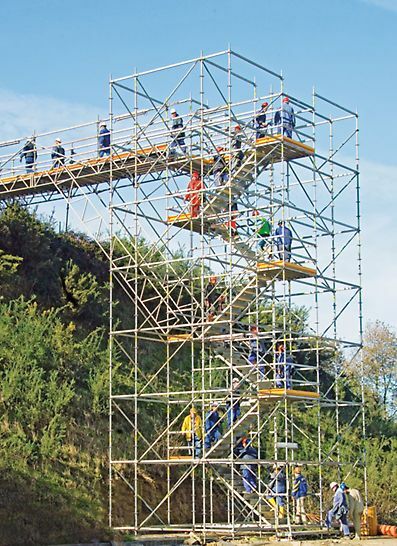 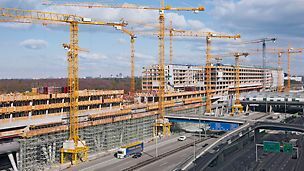 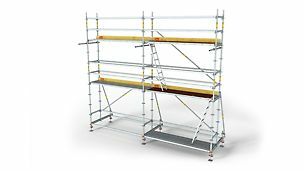 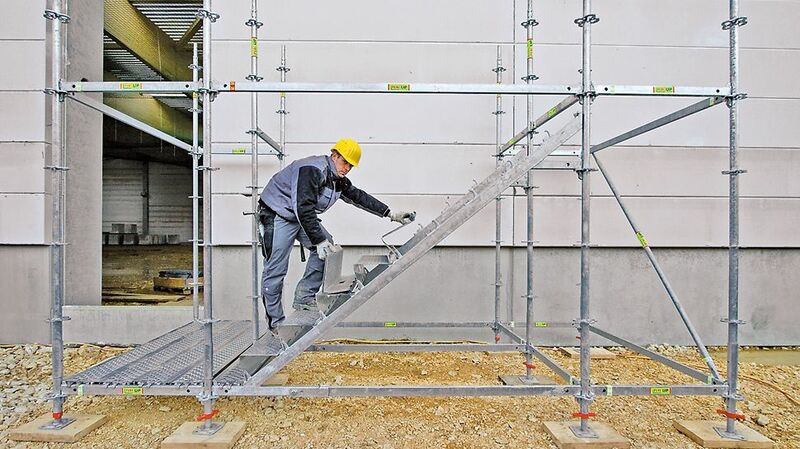 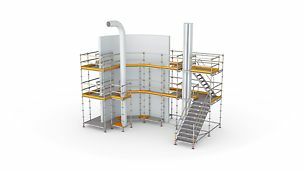 The 10-legged stair tower with heights of up to 50 m is designed for a load of up to 3.0 kN/m². 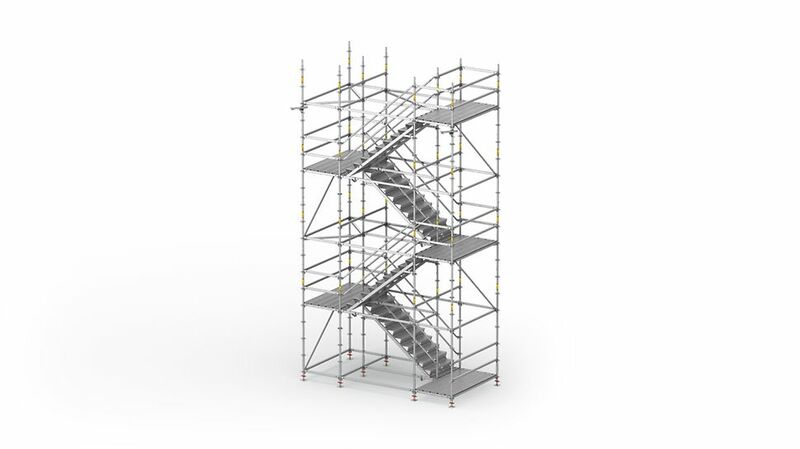 With 100 cm or 125 cm step widths and separate landings, the site staircase is ideally suited for large numbers of users.